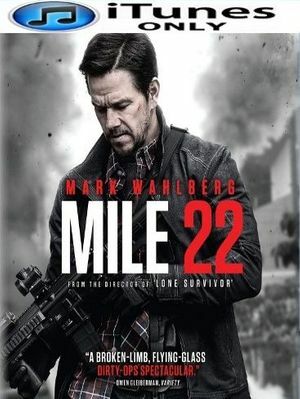 Digital UltraViolet and Digital Copy will makes it possible for you to stream the movie Mile 22 HD iTunes Code instantly to your computer and compatible Smartphones, Andriod, iphone, iPod Touch, iPad and tablets devices anytime, anywhere. You can also download a Digital UltraViolet Copy or a Digital Copy of the movie Mile 22 HD iTunes Code to your computer and compatible devices. In a visceral modern thriller from the director of Lone Survivor, Mark Wahlberg stars as James Silva, an operative of the CIA's most highly-prized and little-known unit. Aided by a top-secret tactical command team, Silva must transport an asset (Iko Uwais) who has vital information to an airfield for extraction before the enemy closes in. Also starring Lauren Cohan, Rhonda Rousey, and John Malkovich, this film is "loaded with edge of your seat action" (Steve Weintraub, Collider).